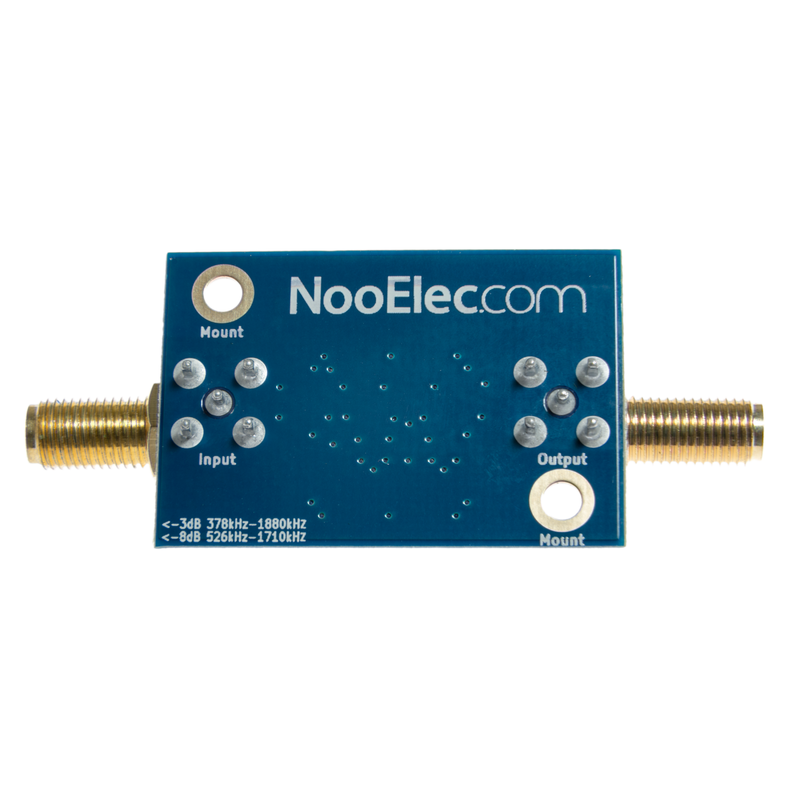 NooElec broadcast AM bandstop filter, EMI shielded, installed in a custom anodized aluminum enclosure. 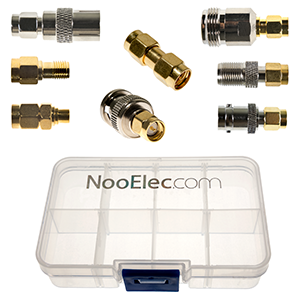 Includes free male SMA-male SMA barrel connector! 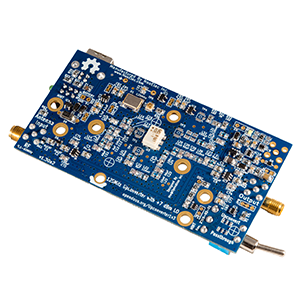 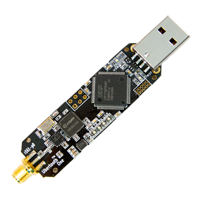 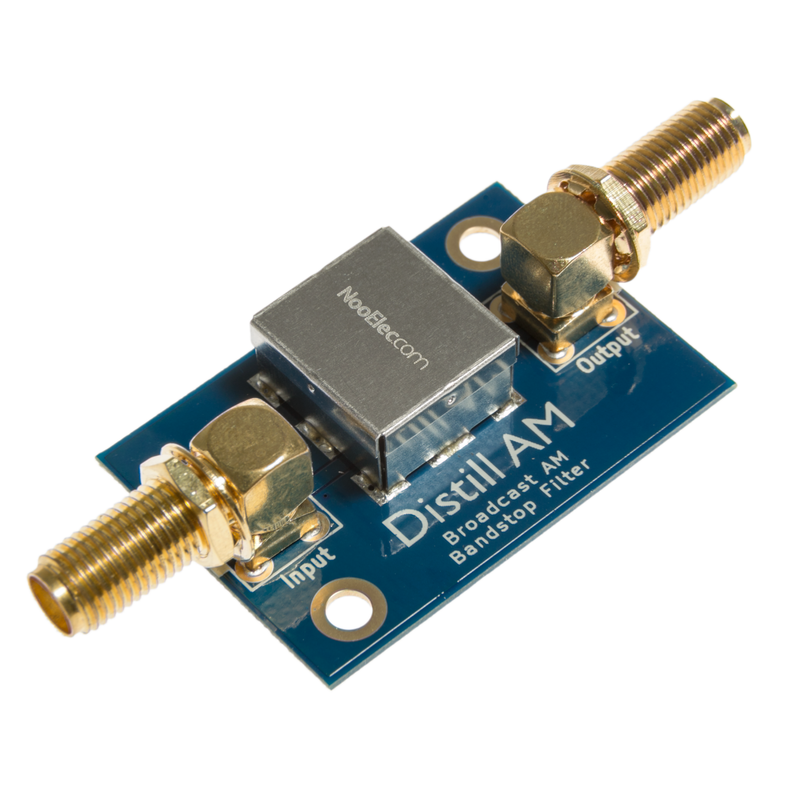 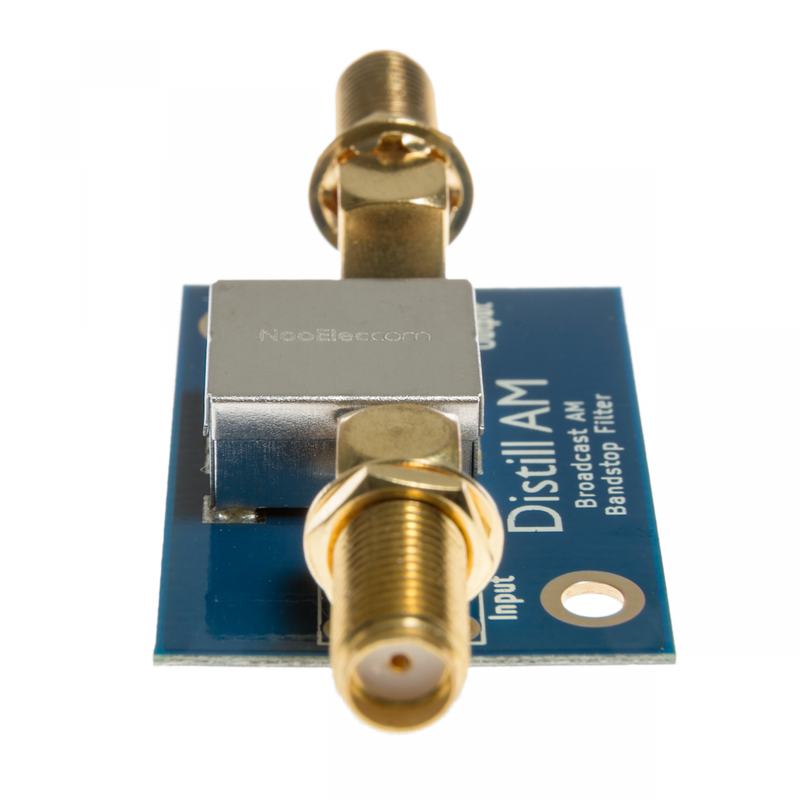 A high-quality, high-performance bandstop filter designed for software defined radio (SDR) applications. 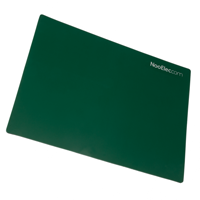 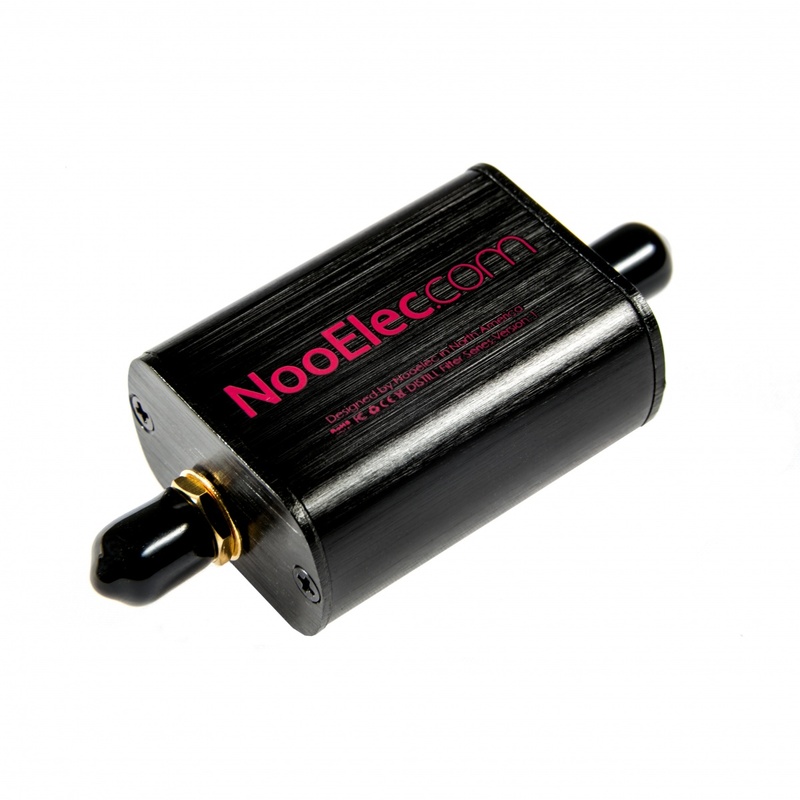 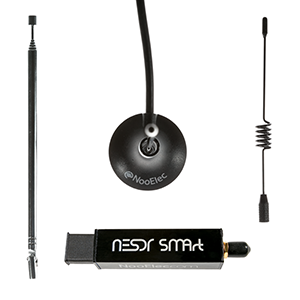 Designed and manufactured by NooElec in North America, with a full 2-year product warranty. 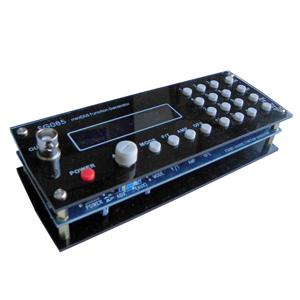 Broadcast AM can be particularly problematic due to the high-powered transmitters used for broadcasting in some areas. 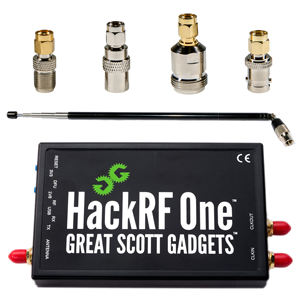 These signals can overload the front end of an SDR, causing imaging and a number of other issues. 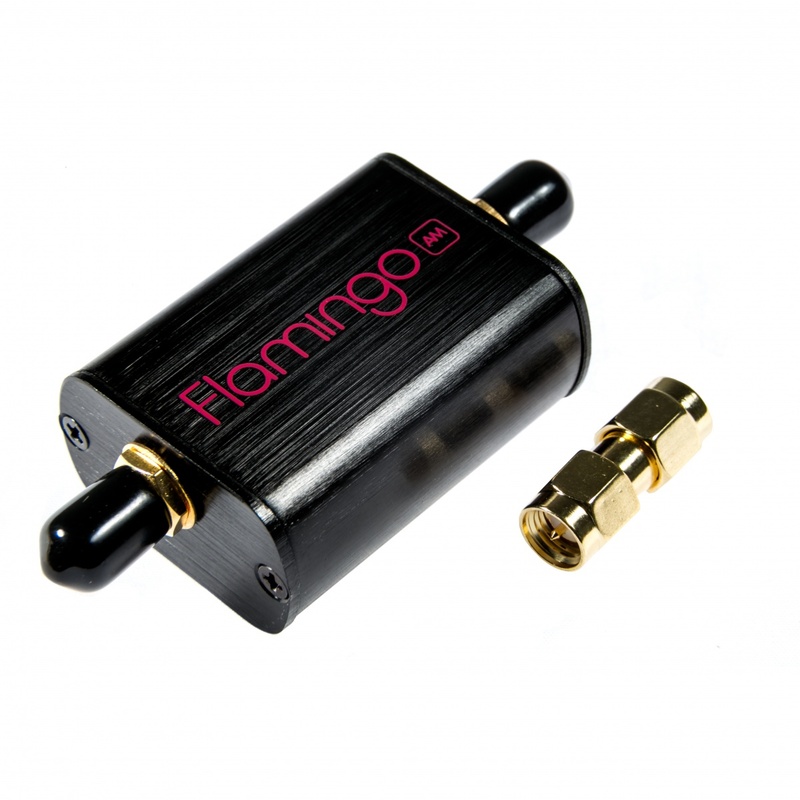 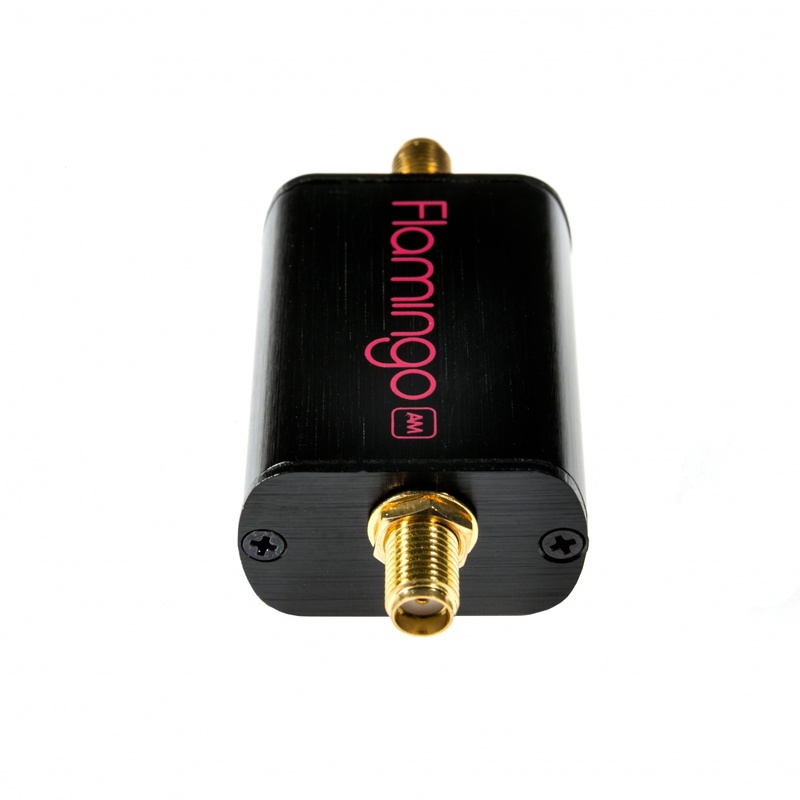 As such, Flamingo AM makes a great companion to our Ham It Up series of HF upconverters. 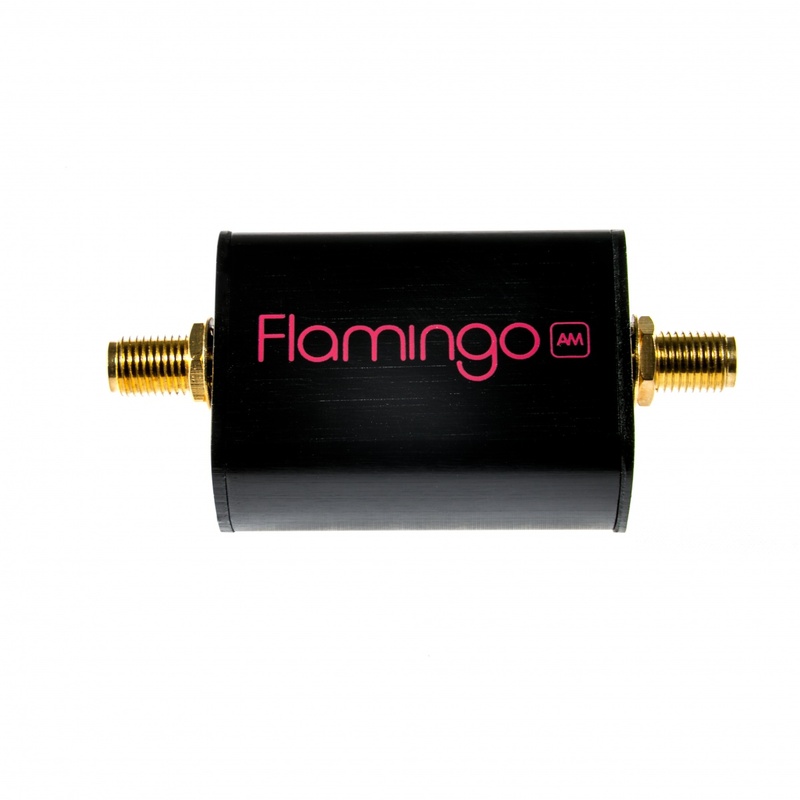 We designed Flamingo AM to provide sufficient attenuation for broadcast AM frequencies (>40dB typical) while ensuring adjacent bands, such as 160m, are minimally affected. 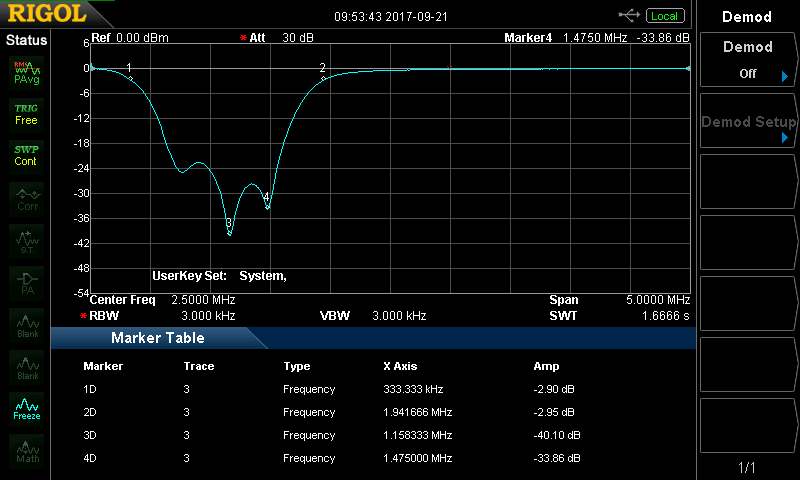 The -3dB rolloff of the filter is 350kHz and 1900kHz. 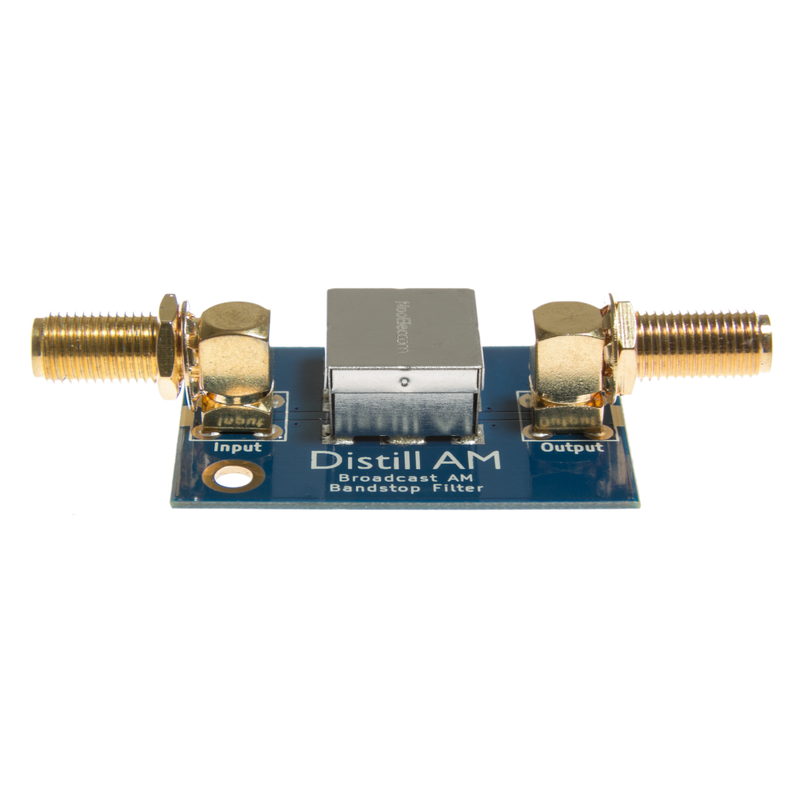 Minimal out-of-band insertion loss means the filter can stay in place for most any application, though we do recommend removing Distill:AM from your setup when not listening to HF frequencies. 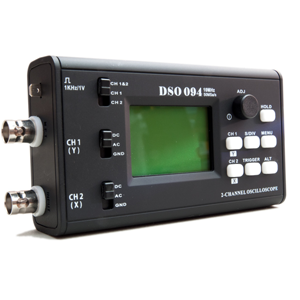 As a true bandstop filter, you are able to pass-through DC (bias power) when it is required. 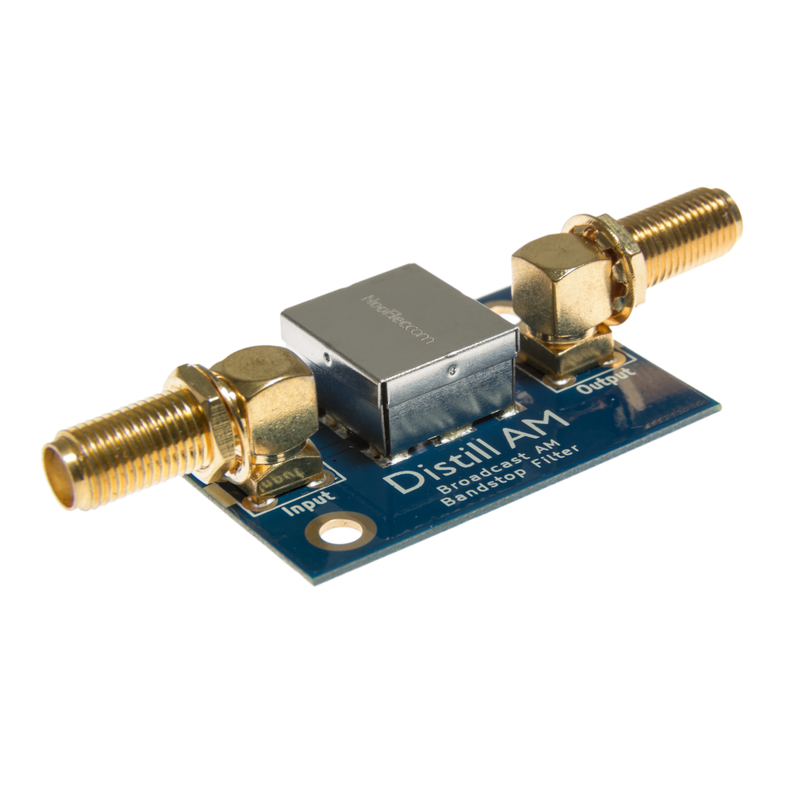 DC current handling is 250mA (min), and the maximum recommended signal level is +18dBm (5Vp-p), so there is no issue using the filter for higher-power applications. 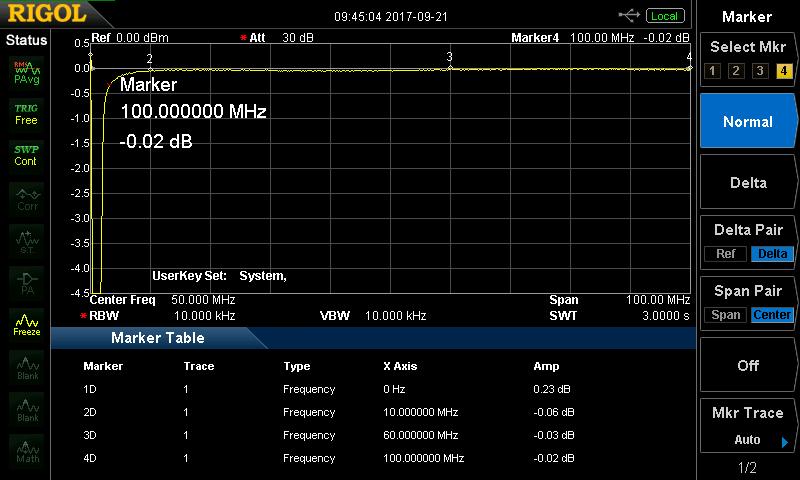 Typical performance characteristics can be found on the downloads tab of the product page on our website. 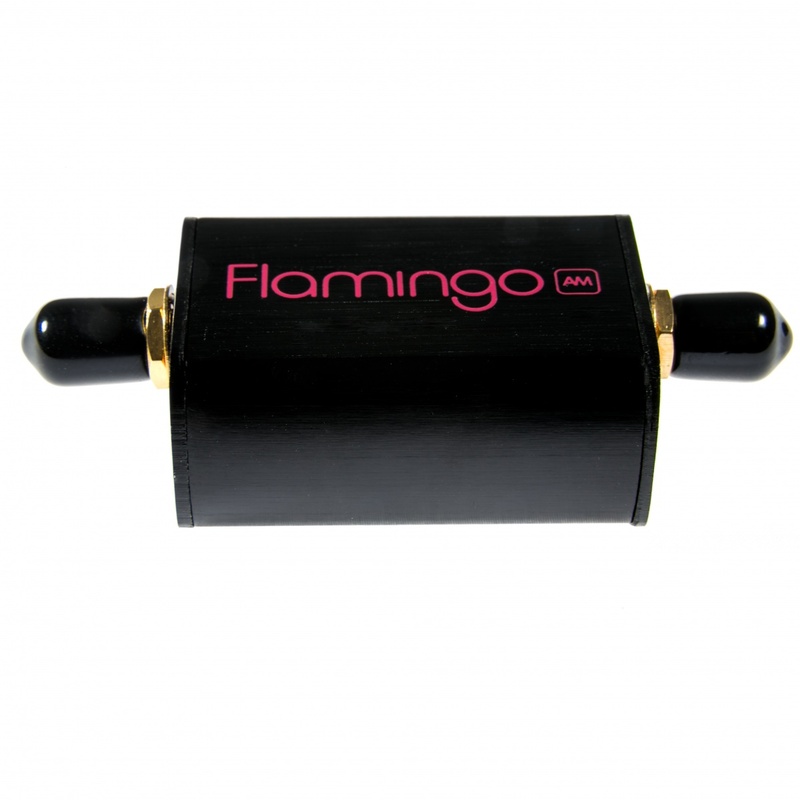 Flamingo AM has its filter circuitry fully shielded with an EMI frame, and has its front end protected by an ESD diode meant for RF applications. 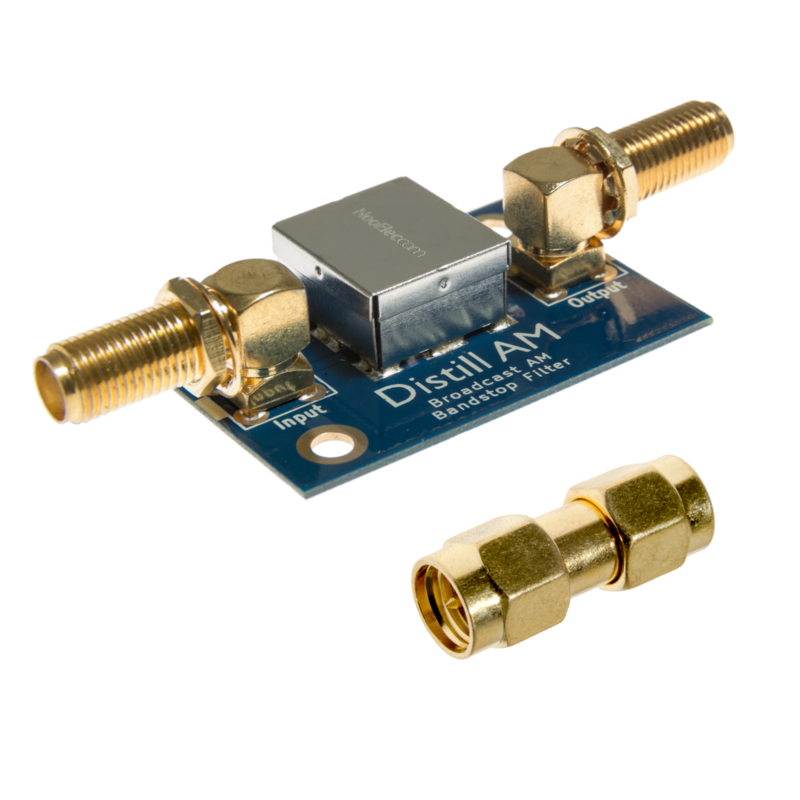 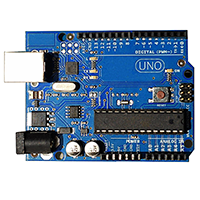 2 mounting holes are available on the PCB for various mounting options, and the SMA hardware (washer and nut) is included.